Just as you keep the rest of your home clean, your new conservatory requires some attention from time-to-time to ensure your new living space is fit for purpose. In terms of general cleaning, you should aim to wash the roof and frame sections of your conservatory with warm soapy water every four to six months. This will remove the build-up of atmospheric debris and general grime. It can be so satisfying using a jet washer or power hose to bring your conservatory up like new, but make sure you don’t get too carried away as you need to be careful to avoid water ingress. 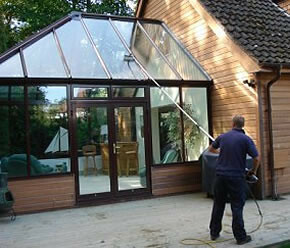 PVC-U frames including gaskets and sills should also be routinely cleaned every four to six months. You don’t need to splash out on expensive cleaning solutions. Warm soapy water is sufficient so you can simply dilute some washing up liquid. Make sure you rinse thoroughly with clean water and dry carefully to bring the surfaces up like new. If you do come across stubborn marks then use a small amount of PVC-u cleaner on a damp cloth and wipe them gently. It’s important you don’t use abrasive cleaners or chemical-based solutions which could damage the frame surface and PVC-u cleaner should not be used on wood-grain foil profile. As conservatoires are made predominantly of glass, you’ll also want to keep that sparkling so clean it with a glass cleaner spray and a soft cloth. Don’t use anything abrasive as this could scratch the glass. 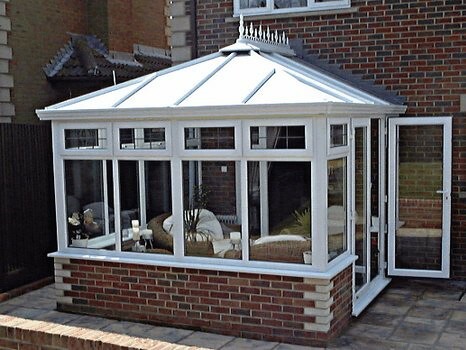 These days conservatories are constructed using extremely durable materials and are built to withstand the fiercest elements. However, a little general maintenance goes a long way and will ensure you can relax in your conservatory without any problems. For example, box gutters and valleys can accumulate general debris and leaves so maintain them to keep them cleared and you’ll ensure they continue to function efficiently. Your conservatory windows and doors are designed with a built in drainage system and this will need some general maintenance to continue to function efficiently. Simply unblock the hole or slots occasionally to remove any build up of dirt and then check the drainage system by flushing it through with water. If weather seals and gaskets become dislodged through general use or cleaning then slide and press fit them back into place in the purpose made frame grove. If the weather seals become broken or damaged and your conservatory feels draughty, you’ll need a replacement. 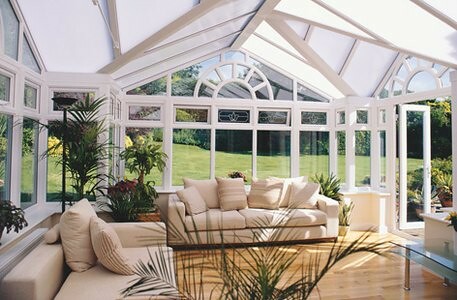 In terms of other general maintenance, it is recommended that all moving parts in your conservatory are oiled every four to six month using light lubricating oil. 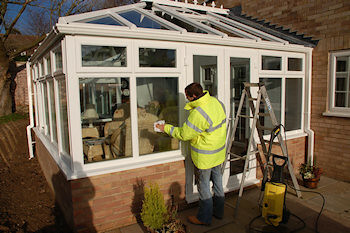 Keeping your conservatory looking like new needn’t be an overwhelming undertaking but by getting into a routine of general cleaning and upkeep, you can ensure your conservatory keeps that ‘just-installed’ look for years to come and avoid any big repair or maintenance bills as a result of general neglect. So stay clean and well-maintained and enjoy your new living space.